Fascinating and quite "sick". In my opinion it's not possible that this is some coincidence. It could turn out to be an important document. I have to say that is was so cool that I have to read it again. But if the historical encoded invention by Orffyreus is rediscovered, then "all bets are off"..
You have got explosive dynamite there. It beats everytning I have seen in this cathegory. I had to read it twice to get full overview. It really deserves to be treated in a full TV documentary. At first it wasn't so convincing, but half way it started to get both interresting and convincing. I am very impressed about your knowledge in all the paintings, books and writing you bring up. The Vatican coin code was expecially cool, and if no one has published the hidden solution in the Albrecht Durer magick square, I have to say that it's sensational. We will be releasing these two important historical codes "for free" as a way to get publishers, documentary makers or teams of researchers interested in our work. 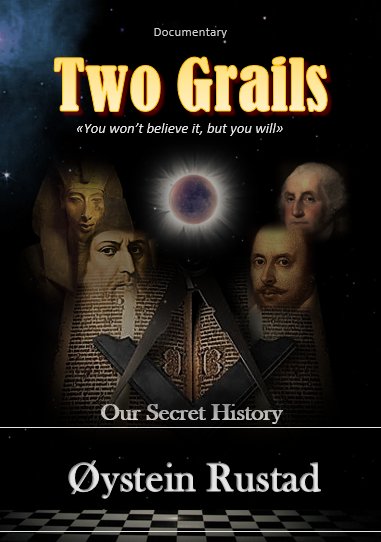 The work and the important bit of history that has been decoded, is summarised in a documentary book called "Two Grails". The (still unpublished) documentary "Two grails" and the two codes that now will be revealed "for free" comes as a result of 20 years of serious study into what was found to be Rosicrucian codes and ciphers, used by members of a secret anonymous philosophical fraternity called the Rose Cross. The two important codes are just a small "teaser" from a variety of historical codes we have solved. We discovered a 300 year old forgotten document, left in dusty library shelfs in Germany for almost 300 years. It contained a secret code, leading us to what we believe is among the largest discovery in codebreaking ever. The code explains all the rumours like "The Holy Grail, what is it? Is it a cup, or is it a stone? Or both? And where is it located? We are being led to an ancient strange inscription, that turned out to be an ancient cipher key. And what was the ancient Philosopher's Stone? Who knew? The great artists? Did they encode the secrets in great art-work? Do the Jesuits know? Does the Jesuit pope Francis know the code? The lost (and found) papers of the mysterious German inventor, Jesuit apprentice and alchymist Orffyreus explains it all! We are indeed very excited, as all of this is facts and serious documented research! We cracked THE CODE! So did we find the Holy Grail? If the Holy chalice (cup) is located in the San Isidoro-church in León, Italy, where is the other Holy Grail? The mystical, magical and even invisible stone! The stone that is only visible to the worthy. The stone that sir Percival and the King Arthurs knights was searching for. A stone described by the German poet Wolfram von Eschenbach in year 1200. Sir Galahad, Sir Bors and Sir Percival achieved the Holy Grail, the strange magical stone, but what did they actually discover? But now more importantly. Did we find the stone? And what did we discover? “Hidden codes can be verified both through repetition and through "evidentness"
“With knowledge and education comes a handicap, and this is what I have named "The shadow of knowledge". “Is an invisible stone really possible?